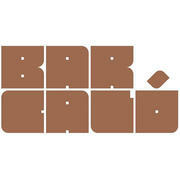 Bar Calo is now hiring for all kitchen positions. We have openings for experienced prep cooks, line cooks, and dishwashers. Schedule is flexible, AM, Mid, and PM, Part time and Full time. We also have openings at our sister restaurant, and our group will continue to grow, with new locations opening soon. This will provide opportunity for rapid growth within the company. Pay is competitive. Bar Calo is a new modern Mexican restaurant and bar in Echo Park. Caló's menu, in both food and beverage, is inspired by México, but freely cross-pollinated by other cultures and influences. A tight drink list from former Bestia bar manager Jeremy Simpson focuses on seasonal cocktails, independently owned and operated Mezcal producers, and Mexican wines. The kitchen, helmed by chef Carrie Funk, offers a cheeky selection of sharable plates highlighting fresh California produce and seafood, including chiles, herbs, and vegetables from Caló's own garden. The current menu can be seen at barcalola.com. Bar Caló is an all-day dining and drinking concept from husband and wife Jaime Turrey and Brooke Fruchtman, owners of Echo Park gem Ostrich Farm. Caló's menu, in both food and beverage, is inspired by México, but freely cross-pollinated by other cultures and influences. A tight drink list from former Bestia bar manager Jeremy Simpson focuses on seasonal cocktails, independently owned and operated Mezcal producers, and Mexican wines. The kitchen, helmed by chef Carrie Funk, offers a cheeky selection of sharable plates highlighting fresh California produce and seafood, including chiles, herbs, and vegetables from Caló's own garden.